Macule: A flat, colored lesion, <2 cm in diameter, not raised above the surface of the surrounding skin. A “freckle,” or ephelid, is a prototype pigmented macule. Patch: A large (>2 cm) flat lesion with a color different from the surrounding skin. This differs from a macule only in size. Papule: A small, solid lesion, <0.5 cm in diameter, raised above the surface of the surrounding skin and hence palpable (e.g., a closed comedone, or whitehead, in acne). Nodule: A larger (0.5–5.0 cm), firm lesion raised above the surface of the surrounding skin. This differs from a papule only in size (e.g., a dermal nevomelanocytic nevus). Tumor: A solid, raised growth >5 cm in diameter. 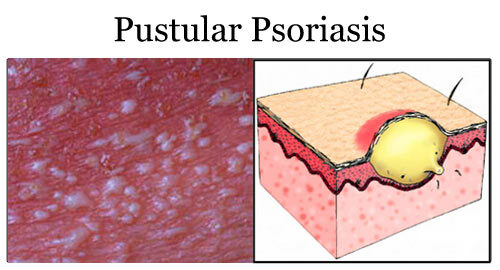 Plaque: A large (>1 cm), flat-topped, raised lesion; edges may either be distinct (e.g., in psoriasis) or gradually blend with surrounding skin (e.g., in eczematous dermatitis). Vesicle: A small, fluid-filled lesion, <0.5 cm in diameter, raised above the plane of surrounding skin. Fluid is often visible, and the lesions are translucent [e.g., vesicles in allergic contact dermatitis caused by Toxicodendron (poison ivy)]. Pustule: A vesicle filled with leukocytes. Note: The presence of pustules does not necessarily signify the existence of an infection. Bulla: A fluid-filled, raised, often translucent lesion >0.5 cm in diameter. Wheal: A raised, erythematous, edematous papule or plaque, usually representing short-lived vasodilatation and vasopermeability. Telangiectasia: A dilated, superficial blood vessel. Lichenification: A distinctive thickening of the skin that is characterized by accentuated skin-fold markings. Scale: Excessive accumulation of stratum corneum. Crust: Dried exudate of body fluids that may be either yellow (i.e., serous crust) or red (i.e., hemorrhagic crust). Erosion: Loss of epidermis without an associated loss of dermis. Ulcer: Loss of epidermis and at least a portion of the underlying dermis. Excoriation: Linear, angular erosions that may be covered by crust and are caused by scratching. Atrophy: An acquired loss of substance. In the skin, this may appear as a depression with intact epidermis (i.e., loss of dermal or subcutaneous tissue) or as sites of shiny, delicate, wrinkled lesions (i.e., epidermal atrophy). 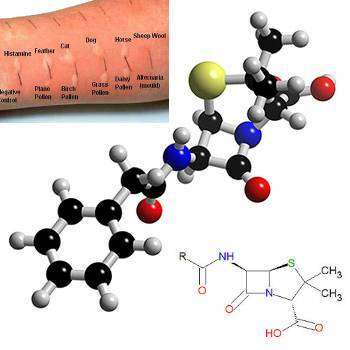 Scar: A change in the skin secondary to trauma or inflammation. Sites may be erythematous, hypopigmented, or hyperpigmented depending on their age or character. Sites on hair-bearing areas may be characterized by destruction of hair follicles.